Cable Jacket: Should I Choose LSZH or PVC? 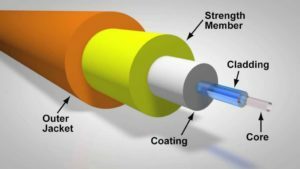 When talking about communication cables, we commonly use terms like LSZH and PVC to describe them. These two terms describe the chemical compounds used in production of the cables. As we might be rather familiar with these widely used terms, do you exactly know what they really mean? Or more importantly, which one is better for your project? In this article, we are going to explain these frequently asked questions, by analyzing and comparing LSZH and PVC cables. What LSZH and PVC Stand for? 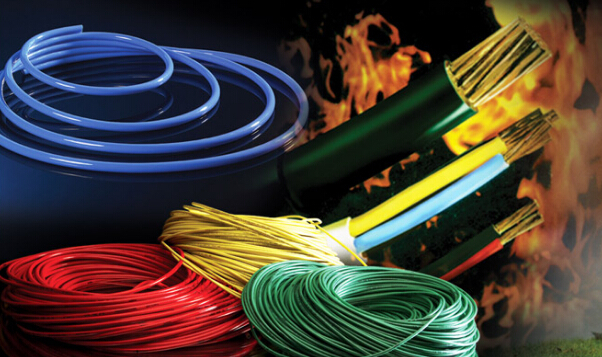 LSZH—Short for low smoke zero halogen, LSZH is a kind of cable built with a jacket material free from halogenic materials (such as chlorine and fluorine), since the toxic nature of these chemicals when burned. 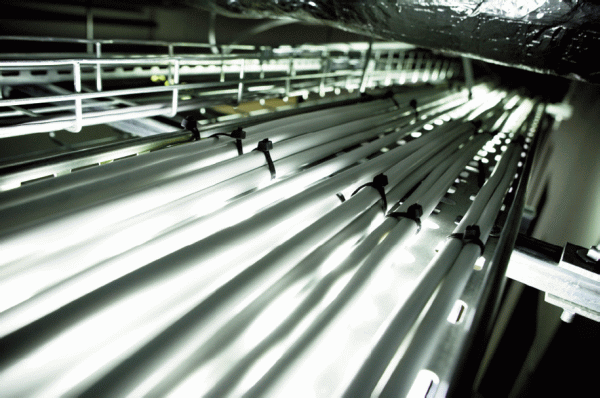 The term “low-smoke, zero-halogen” describes two distinct properties of a cable compound. The term “low- smoke” describes the amount of smoke which a compound emits when burned, while “zero-halogen” describes the amount of halogens used to make the compound. Terms like LSOH, LSHF and LSNH are all proper references for cables possessing low-smoke and zero-halogen properties. PVC—Polyvinyl chloride (vinyl), a general-purpose plastic jacket material used for cables. Features low in cost and flexible, PVC cable is widely used in applications such as computers, communications and low voltage wiring. In the world of cabling, “PVC” is often used to denote a cable that is not suitable for use in a plenum airspace. PVC can potentially be dangerous in a fire situation, releasing heavy smoke and hydrogen chloride gas, which poses a great threat to human health electronic devices. 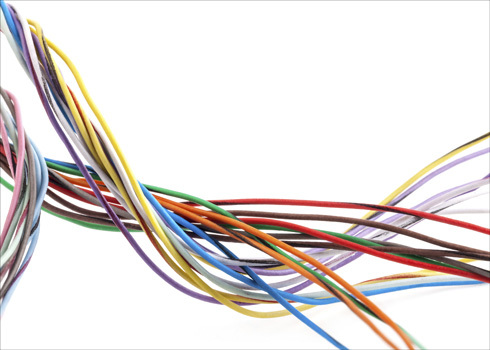 PVC cables often have a CM, CMG, or CMR rating as defined by the National Electrical Code (NEC). Cost: LSZH cables are slightly higher in cost than some PVC cables, but they are much safer when it comes to human health and sensitive and expensive electronic equipment. And this should be considered when comparing the cost. Flexibility: Comparing with PVC compounds, there is a limited range of compound flexibility available for LSZH compounds, so LSZH cable is not recommended for robotic or continuous flex applications. Heat: When a PVC cable is set on fire, it emits chemical fumes, acids and other toxic gases, which are both corrosive and harmful to human beings and environments. As for LSZH cable that has a flame-resistant jacket, it doesn’t emit these chemical substances even if it burns or exposed to high sources of heat. And it can reduce the amount and density of the smoke. When Do I Use LSZH or PVC? It is feasible that LSZH and PVC have equally effective performance in modern buildings. So the decision on which one to choose actually depends on the situation, that is to say, where you are going to run the cable. PVC cable has been used in built environment for power and control applications for decades. It is commonly used for horizontal runs from the wiring center, or for vertical runs between the floors—but only if the building features a contained ventilation system running through the duct work. Confined spaces with large amounts of cables in close proximity to humans or sensitive electronic equipment, such as submarines and ships. Mass transit, central office facilities and telecommunication applications. Even though PVC cable still reigns supreme in wire and cable industry, the use of which has decreased over the past years. On the other hand, LSZH cable technology has advanced significantly, it is well suited to some applications mentioned in this article. Your cabling choice always relays on your specific condition, while to consult with wire and cable experts can also be beneficial. This entry was posted in Bulk Fiber Cables and tagged cable and wire, cable jacket, LSZH cable, PVC cable on January 7, 2017 by Aria Zhu.